The weather started freezing a bit over a week ago, during the weekend. When I went to the hospital last Wednesday morning, it was cold but there was no snow. 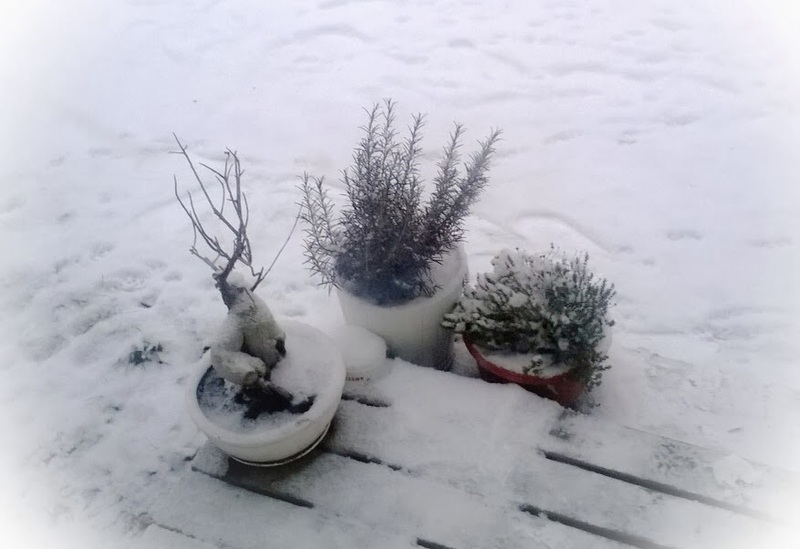 Today, I came back home, and the snow had come while I'd been gone, and the weather had warmed a bit. Still below zero's but not -20C anymore, more like -6C or so. The rosemary and thyme on our porch still seem to be alive, though. The bonsai has dropped its leaves.